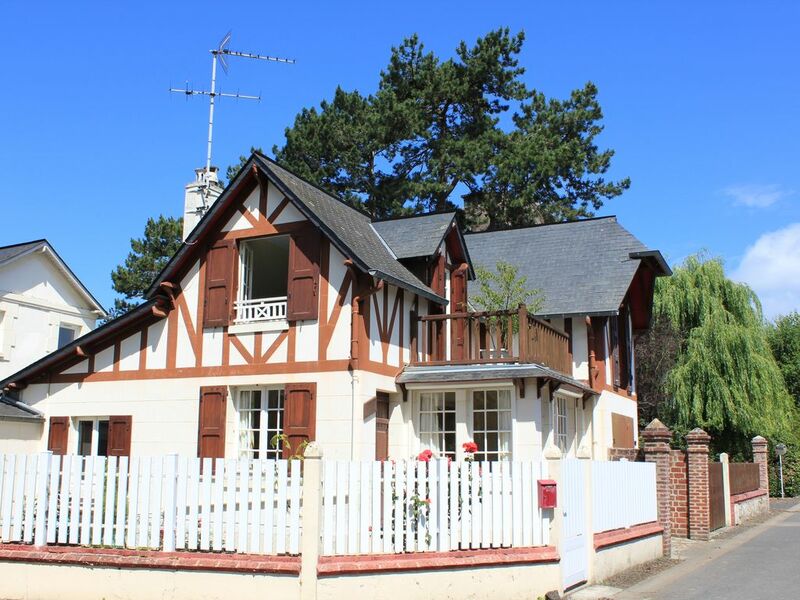 Charming house in Benerville sur Mer, 400m from Deauville, with closed garage and private flower garden enclosed with gravel, between the beach, the boards of Deauville and Clairefontaine racecourse. In town but quiet, close to the sea and all amenities. All on foot or by bike for those who want! Next to the beach at Deauville or we do not need to walk very far to see the sea! Ground floor: kitchen (induction plate, Oven, Microwave, Refrigerator, Dishwasher 12 place settings, coffee, Nespresso, toaster, kettle ...), lounge, dining room, 1 bed room 160 doubles with bathroom, separate toilet, laundry with washing machine, dryer, freezer. Floor: 1 bedroom with double bed 160, separate toilet, sink, 1 bedroom with a bed 120, 1 single bed room 90.
par contre pas pour Abritel ! House in a quiet residential area (houses with gardens only), behind the Clairefontaine racecourse, 200m flat beach, 200 m from the edge of the bakery Bénerville, 200 m from the Carrefour Market Tourgeville 400 m from the beginning of the boards of Deauville, 2 km from the railway station of Trouville-Deauville, 200 m from the bus stop 20/120 along the coast between Honfleur, Trouville, Deauville and Caen.